Mark Hamill and Carrie Fisher on the set of Star Wars. Star Wars fans collectively wiped tears from their eyes last week after learning that Carrie Fisher would indeed appear in J.J. Abrams’ Episode IX. 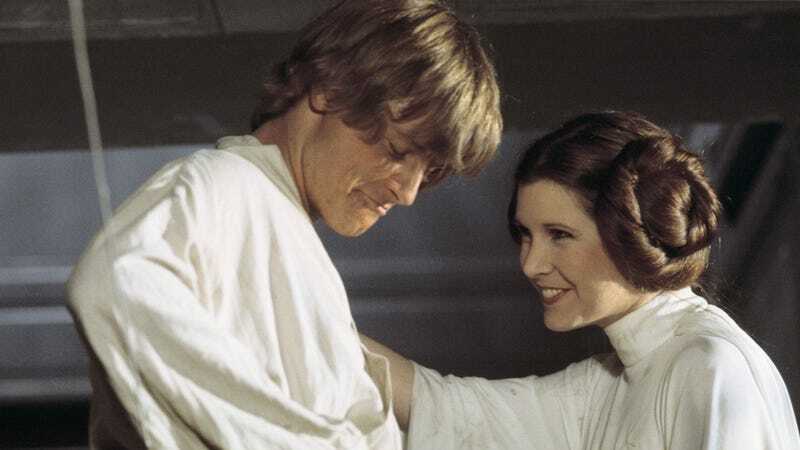 Mark Hamill and Fisher’s family have weighed in on the news...and if you’ll excuse me, I may have something in my eye again. Last Friday, Disney announced the full cast of Star Wars: Episode IX, which sees the return of Hamill as Luke Skywalker and Billy Dee Williams as Lando Calrissian. However, the biggest news was learning that Disney and Lucasfilm planned for the late Carrie Fisher to appear in the next film as well. They made clear it would come to fruition through some unused footage Abrams shot for The Force Awakens rather than recast or make a full CGI recreation of the actress. With the announcement, Abrams stated the production had the blessing to use the footage from Fisher’s daughter, Billie Lourd, who enthusiastically shared the news on her Instagram. I couldn’t be more personally thrilled and happy that our Carrie will reprise her role as Princess Leia in the new and final Star Wars: Episode IX, using previously unreleased footage of her shot for Star Wars: The Force Awakens. As we, her family, as well as her extended family of fans around the world so believe, Carrie’s Princess Leia is forever entrenched in the franchise and her indelible presence is fundamental to the film. Star Wars: Episode IX sees the return of Lourd (who plays Lieutenant Connix), along with Boyega, Daisy Ridley, Adam Driver, Oscar Isaac, Lupita Nyong’o, Domhnall Gleeson, Kelly Marie Tran, and Joonas Suotamo. New actors joining the cast of Episode IX include Naomi Ackie, Richard E. Grant, and Keri Russell. Abrams co-wrote the screenplay with Chris Terrio and Episode IX starts filming this week.